The last state elections in Karnataka were held in the first week of May in 2013. The Election Commission has announced the polling dates for the 224-member Karnataka assembly. The voting for the elections will be held on 12 May, 2018 and counting will be held on 15 May, 2018. The last state elections were held in the first week of May in 2013. While the Congress is aiming to retain the assembly, the Bharatiya Janata Party (BJP) is putting all its might to get the state into its kitty. If BJP manages to form its government in Karnataka, it will be in power on its own or in an alliance in 22 states. Currently, Punjab and Karnataka are two big states apart from Mizoram which are ruled by the Congress. "It will be investigated. Be assured that actions legally and administratively befitting will be taken," Chief Election Commissioner OP Rawat added on Amit Malviya tweet. 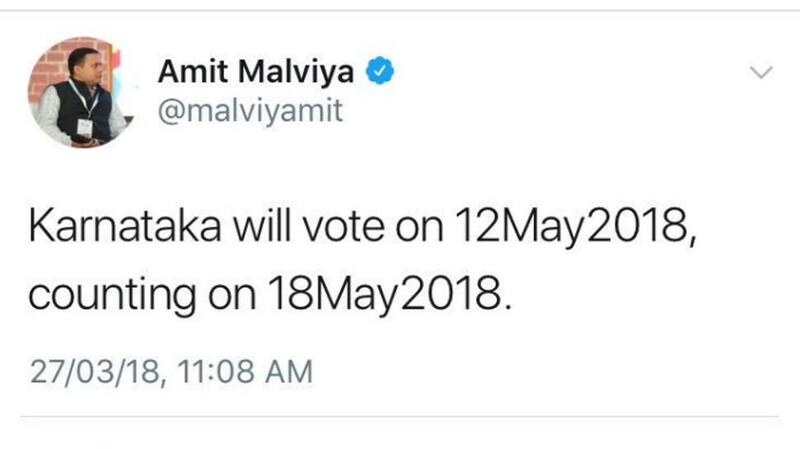 Soon after the official dates were announced, Malviya deleted his tweet. As per his tweet, the voting was to be held on 12 May and counting on May 18. While he got the voting date correct, his information about the counting date was wrong. Chief Election Commissioner OP Rawat said that certain things may have leaked for which the Commission will take appropriate action. There was chaos at the press conference after BJP's IT Cell head Amit Malviya had put out dates of Karnataka elections on social media even before the official announcement. Chaos at the EC press conference as questions being asked over how election dates have been leaked in Karnataka ahead of the official announcement. CEC appeals to media to highlight violation of model code of conduct or any wrongdoing by candidates and parties. Just ahead of the announcement of the poll dates, the BJP on Tuesday hit out at Rahul Gandhi over his campaigning in Karnataka. The BJP claimed that Rahul is making dubious and opportunistic promises to fulfil anything. The Karnataka elections hold huge importance for both the Congress and the BJP. Neither of the two parties want to leave any stone unturned to turn the tide in its favour. 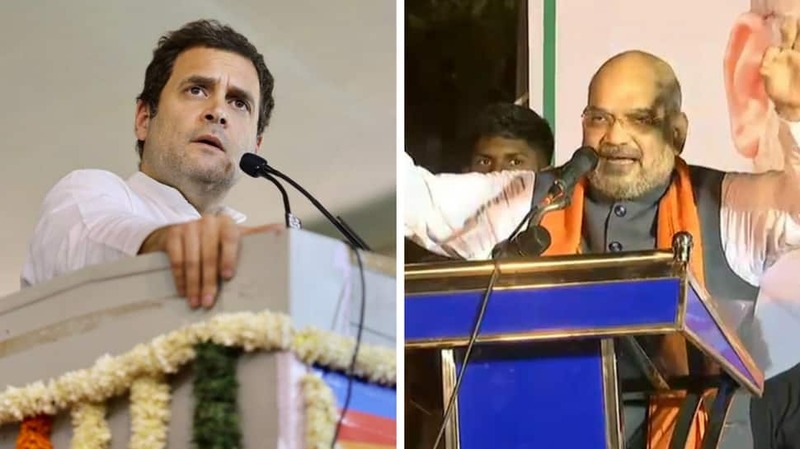 Congress President Rahul Gandhi has and BJP chief Amit Shah have been campaigning vigorously across the state ahead of the elections.